Michael Bonnar is a Certified Orthotist. His education includes a 2003 Post Graduate Orthotic Certificate from The University of Connecticut, a 2001 Bachelor of Science in Exercise Physiology from The University of Massachusetts, and a 1997 Associate in Science in Physical Therapy from Bay State College. Mike carries out patient care with Pediatric, Orthopedic, Neurology, craniofacial, and sports medicine physicians. Cases include congenital disabilities, scoliosis, sports medicine, and trauma. Mike specializes in the design, manufacture, and fitting of orthotic devices made to the specific functional goals of his patients. He has implemented carbon, metal, and plastics knowledge to create custom fitting devices that will work with the patient and the rehabilitative team to assist with improving the function of his patients. Related work experience 1994-2010 included patient care and fabrication of orthotics for Childrens Hospital-Boston, Beth Israel Deaconess Medical Center, and The Joslin Diabetes Center of Boston, MA. 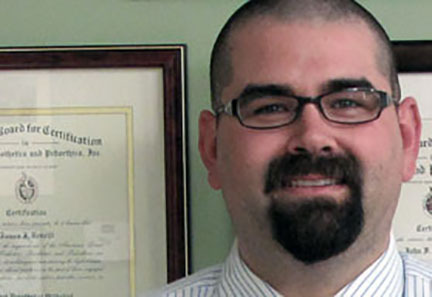 He maintains ABC certification in Orthotics and Licensure as a Physical Therapist Assistant in Massachusetts.